Much like the clothes in your closet, your furniture and household items may work for you for a while, but at some point, you’ll want to switch your belongings for something new. When that time comes, do you know what to do with your stuff? Many people don’t, especially if they’re dealing with large items like sofas, cabinets, etc. Don’t worry! We’re here to help. This guide will identify what you can donate, where to donate in the Twin Cities, how your donation impacts the world we live in, and how to write off your donation come tax season. When it comes to household belongings, there are a lot of items you can donate as long as they’re in good, working condition. So, here’s a sampling of items you can donate separated into categories. While this is not an exhaustive list, nor does every donation center accept all these items, this is a good idea of the variety of items that can be donated in your area. Where Can You Donate in the Twin Cities? You already know you can donate your gently used clothes, shoes, sports equipment, and musical instruments to The Salvation Army, Goodwill, and various thrift stores across the metro, but what about the larger items like a dresser, stove, couch, and miscellaneous building materials from your last home project? Not all donation sites accept large or electronic items, but here are a few to choose from in the Twin Cities. Twin Cities Habitat for Humanity ReStore is a home improvement outlet open to the public - anyone can shop or donate. All the revenue supports Habitat’s mission to eliminate poverty housing from the Twin Cities and make decent, affordable housing for all people a matter of conscience. Twin Cities Habitat ReStore accepts furniture, large household appliances, hardware, building materials, and more. Better Futures Minnesota promotes environmentally sustainable practices through deconstruction, recycling, repurposing, and reusing materials from appliances, homes, and buildings. Bridging provides your donations of quality furniture and household goods to those transitioning out of homelessness and poverty. They accept everything from furniture and household items to small appliances and electronics. Tech Dump accepts and recycles electronics like computers, cell phones, TVs, printers, and more. They also provide job training and practical experience for adults facing barriers to employment that prepares them to be more valuable employees. ReUse MN has an easy-to-use search bar on the main page for those wishing to donate, sell, buy, etc. There are many items that nonprofits don't express interest in. For those items, the best options could be Twin Cities Free Market , NextDoor , or "Free" section on the Minneapolis Craigslist page. For a more detailed list of accepted items at each of these locations, click here. How to Prepare Your Items for Donation? Before donating your items, there are a few things you need to do. Clean it – Some organizations may turn away your items if they’re not clean. A simple wash or wipe-down is generally all you need. Assemble the pieces – If you’re donating an item that contains several pieces, it’s best to assemble and attach all the parts. Labeling pieces and putting them in plastic bags can be helpful. If your item is larger, consider including the dimensions or weight, too. Consider how to transport the item – Some donation centers have requirements as to how your donations are bundled (i.e. cardboard boxes, plastic bags, other). If you don’t know, it’s best to look it up on the organization’s website or call. 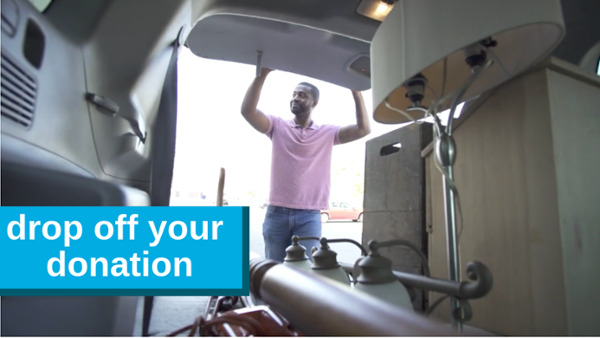 If it’s a larger item, you may need to disassemble it, at least a little, before fitting it into your vehicle. If you’re driving the item to a donation center yourself, make sure to protect the item with blankets and straps so it doesn’t get damaged. 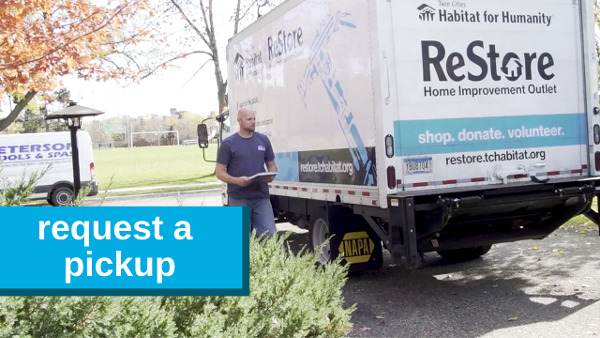 If you're considering a donation to Twin Cities Habitat for Humanity, the ReStore offers a free donation pick-up service for residents in the Twin Cities metro area. Just make sure your donation qualifies and schedule a pickup online or over the phone. Then, follow these tips for preparing a pick-up donation item. Set your item outside – Most organizations won’t come into your home to take your donation item, so get some family or friends to help you move it outside your home — in the garage or on the driveway. Clearly label the donation – To verify that the item you set outside is a donation to the organization, label the item with the organization’s name and indicate that it is meant for donation. Note: If inclement weather is in the forecast preventing you from placing your item outside, let the donation center know where your donation item will be located. Or reschedule your pick-up. What is the Impact of Your Donation? We’re not saying you should donate every item you own if you don’t want it anymore. After all, some things simply need to be thrown away. But items that are in good condition and could easily be repurposed make great donations. And when you donate items rather than throw them away, you keep them out of local landfills — reducing greenhouse gas. In the Twin Cities alone, donations to ReStore keep 1,100 tons out of a landfill each year. Although you may no longer have a need for the items you donate, someone else might. For example, that dresser that’s been collecting dust in your spare bedroom might work perfectly for a young family’s nursery, or the antique door knobs you recently replaced could be used to create a one-of-a-kind coat hanger. Your donations could make another person very happy, and it’s fun to imagine what your items went on to be in the future. When you donate items to your local donation center, you’re supporting their business and what they stand for. At Twin Cities Habitat for Humanity ReStore, for example, revenue from the sale of your donations help families in our local community through Habitat's programs. Depending on where you donate, your donation may be tax-deductible. Any donation made to an organization classified a 501(c)(3) is tax-deductible, but tax-deductible donations can be made to organizations outside this classification as well. If you’re not sure whether an organization’s donations are tax-deductible, check their website. If you can’t find your answer online, pick up the phone and call. 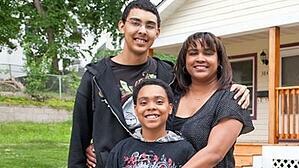 At Twin Cities Habitat ReStore, all our donations are tax-deductible. For more information about tax-deductible household items, click here. As for your tax-deductible donations, it’s important to know how to claim these donations on your taxes when the time comes. Here are some tips to help make the process easier. Itemize your donation – Your tax form will ask you to report itemized deductions, so make sure you’re tracking this throughout the year as you donate to various organizations. Keep donation receipts – In order to report your itemized deductions, you need to keep your donation receipts, even if it was a cash donation. Organizations might give you one automatically or they might ask if you want one. Always say yes. If they forget, simply ask for one. These receipts are proof to the IRS that you made X number of donations in the past year. Determine the value of your donations – It’s not enough to say that you made eight tax-deductible donations in the past year. One donation could have been a small bag of doorknobs while the other could have been your old refrigerator. Those items carry very different values. So, each time you donate, estimate the value of your donation and write it on the receipt so you don’t forget. If you need help determining the value of your items, check out our donation valuation guide. Store your receipts in a file with all your tax information so it’s easy to locate come tax season. So, what are you waiting for? We know you have unwanted furniture and household items in your home. Clean them, pack them up, and bring them to your favorite donation center. Or call for a pick-up. Not only will you be making space in your home for new items but you’ll be making a big impact and saving yourself money come tax season. That sounds like a win to us!